Custom egress window wells offer terrace-like steps, perfect for a container garden. "The best things in life are free. "This is definitely true in the case of basement lighting. Natural sunlight adds beauty, life, and warmth in whichever room it illuminates, and it also gives the homeowner an opportunity to keep live plants growing and thriving for additional ambiance. Historically, homeowners have taken drastic measures to add to the natural sunlight in a basement, with Sunset Magazine even telling of one family who excavated an entire wall of the foundation to install picture windows and sliding glass doors. Other families have even removed sections of the foundation wall to install clear glass blocks in their place! However, there are much simpler, inexpensive, and easy ways to increase the natural sunlight that makes its way into a basement area. 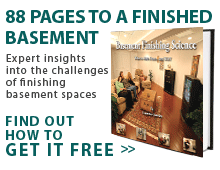 Total Basement Finishing can show you multiple ways to brighten up your basement. Call or contact your local TBF dealer online to schedule a free estimate! Since most of the light in a basement enters in through the basement windows, it's vital to make the most you possibly can out of them. The Philadelphia Inquirer reports that it takes three below-grade windows to bring in the light of a single window upstairs. If you have rusty, drafty, steel basement windows or wood-framed windows, you can count on their having a short, ugly life. However, if these windows are replaced with crystal-clear double-paned glass windows with vinyl framing, they'll remain attractive and open to let as much light and warmth into the home as possible. These windows are also much better at insulation, and provide an R-3 rating as opposed to the R-1 insulation rating of even brand new single-paned steel windows. The vinyl will never need paint, and Total Basement Finishing's EverLast™ Basement Windows can be easily removed for cleaning and maintenance. When replacing the basement windows, a homeowner may also wish to consider enlarging the existing windows or install additional ones for maximum light. No matter how open, clear, and beautiful the basement windows are, they won't do the job you'd like them to if all they're doing is giving you a better view of weeds, shrubs, and your rusty, clogged basement window wells. Once you've installed new basement windows, be sure to open the area around the windows by removing foliage and other obstacles that block sunlight from reaching the area. Then, replace the rusty, corroded basement window wells with beautiful SunHouse™ Basement Window Enclosures. The ScapeWel egress window well looks like masonry but can be installed in hours. The single step is sufficient for even a child to climb up to grade level. These window wells will never rust, rot, or corrode, and their special design has been engineered specifically to reflect as much natural sunlight into the basement area as possible. A durable clear cover that rests on top of the window well keeps the area free of water, snow, leaves, and other debris, which allows the area to stay open and beautiful for many years to come. This cover is also designed to keep the cold winter air from blowing against the window and stripping warmth from your home. SunHouse™ basement window wells are a sensible, beautiful, and long-lasting addition to your basement remodeling project! In addition to installing new basement windows and window wells, a homeowner should consider installing egress windows for beauty and code-compliance in their finished basement. Egress windows like Total Basement Finishing's ScapeWel offer homeowners and their families an emergency exit from the home, making the area safer in case of a fire or other dangerous situation. However, unlike metal or plastic basement doors, these windows can transform a wide section of a basement wall into a beautiful, open window. Natural sunlight is able to flood into the remodeled basement, and the terraced steps of the window well will allow the homeowner to even plant flowers and foliage! If you're interested in a quality basement finishing with beautiful basement windows, Total Basement Finishing has a locally owned and operated dealer that would like to help you. 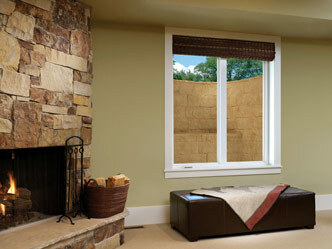 We install basement windows with the best value on the market with quality and long-term energy savings in mind. Our estimates and consultations are free and come at no obligation. 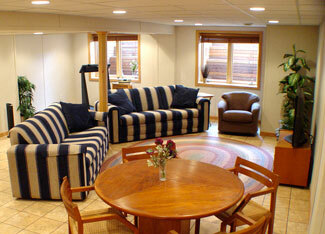 If you're interested in upgrading your lower level, call or contact us for a basement renovation estimate today!